John Ellis (1710-1776) was an Irishman & naturalist who went into business in London. In 1764 he was appointed as an English government agent for West Florida and the Island of Dominica. Linnaeus called him "a bright star of natural history" and "the main support of natural history in England." 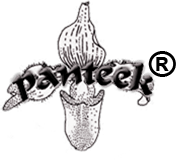 He was a prolific writer including works on coffee, tea, breadfruit, and corals. As both as naturalist and business man, his thorough and detailed works were also designed to encourage the growth of the tea and coffee trade. He ranks as a seminal person in the history of England as he was responsible for introducing the tea tree. His work on tea was published in 1772, when the interest in tea drinking focused on its medicinal properties, and determining whether the rapidly increasing habit of tea-drinking was beneficial or injurious to health. The tea-tree was introduced to England by John Ellis in about 1768. Ellis was one of the earliest marine zoologists. His descriptions of zoophytes and meticulously-drawn engravings were outstanding, and he was made a fellow of the Royal Society in 1754, awarded its Copely medal in 1767. 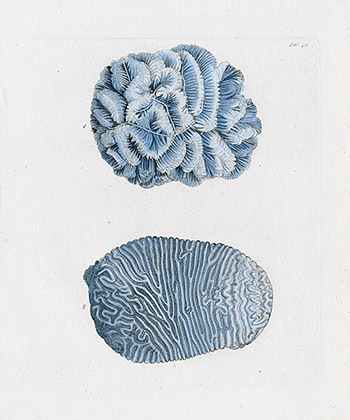 We are pleased to offer these beautiful coral prints from his final work, The Natural History of many Uncommon & Curious Zoophytes published posthumously in 1786. The work had been left in the possession of Daniel Solander, the Swedish scientist who together with Ellis discovered that sponges are animals. Ellis's daughter, Martha, retrieved the manuscript and ensured its publication in 1786. These prints are all ORIGINAL copper engravings made from Ellis's 1776 drawings. 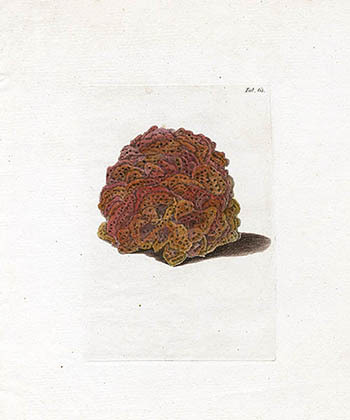 They have been exquisitely hand colored by one of the few remaining professional colorists in England whose specialty is corals and fish, following descriptions and images of the species illustrated. Each print is the large paper version, measuring approximately 9 inches wide by 11 1/4 inches long. The condition of the plates is excellent, with the paper being a fine, heavy, watermarked chain lined type with strong plate marks. There are no fox marks or other blemishes. A copy of the title page will be included with each print. These prints are more than 220 years old.